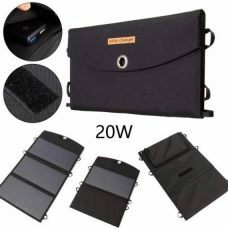 Special Features Ultra-thin Slim Body; Protection from overcharging, discharging, overloading; Dual USB Output. Compatible Devices iPhone, Samsung, Sony, Nokia, Tablets, Android Tablets, iPad, iPod, USB Digital Devices and most Smartphones and Mobile Cell Phones, MP3/ MP4 Player, GPS, PSP, Camera, USB Music Speaker, Bluetooth Products and other electronic portable devices. 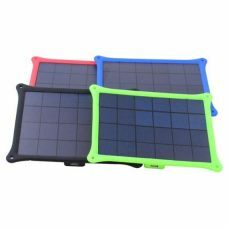 Highly Efficient Brand New Stylish Ultra-Thin Solar Power Battery Charger is a portable mobile Slim Body Power Bank with 8000mAh capacity. 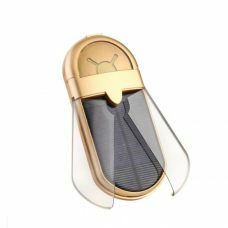 It has a nice business looking appearance and compact size that makes Battery Charger easy carry wherever you go. The Power Bank battery Charger is easy to use and convenient to recharge any portable USB Devices and Digital Gadgets anytime and anywhere. 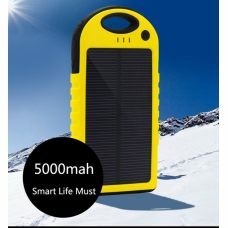 Mobile Power Bank has two charging options: can be charged by the sunshine, computer or AC power. 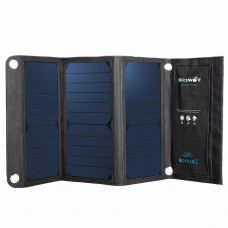 Power Bank has advanced Build-In Intelligent Voltage Identification Chipset that secure Solar Charger from overcharging, discharging and overloading. 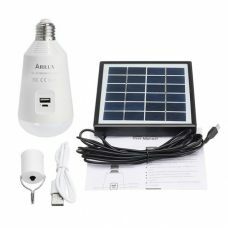 It has LED emergency flashlight and battery capacity display that allow to see charging level. 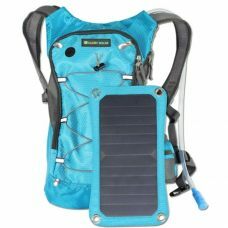 Smart Design, Stylish appearance in combination with high-performance functionality makes Solar Battery Charger must have gadget. 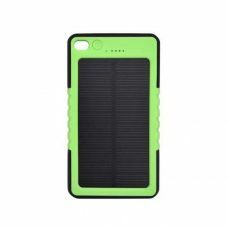 It made from environment-friendly materials and provides a combination of Energy Saving Green Technology and Environment Protection with high performance in Storing Energy and Charging Batteries. 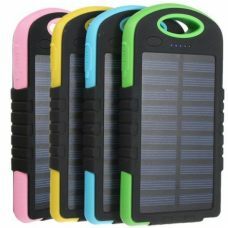 Ideal for:a backup battery of any electronic devices, mobile gadgets, smartphones or mobile phones. 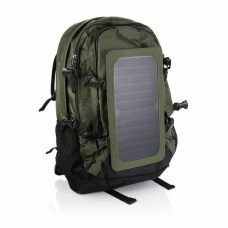 Perfect for keeping it in a bag just in case while traveling or just for everyday use, good for camping or spending all day at the beach and will also suitable looking in the office. This Power Bank would complement your IPhone. 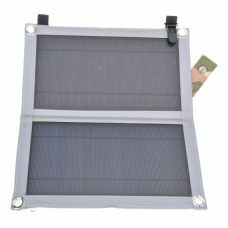 Friends, partners or Colleagues will also appreciate Solar Battery Charger as a Smart Gift. For whom: a practical person with highly intense busy lifestyle in which electronic devices and mobile gadgets take a major part. Businessman’s and office workers. - Ultra-thin Stylish aluminum Slim body. 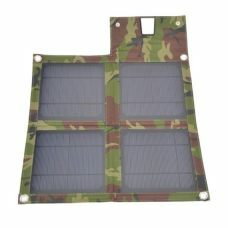 - Long Operating Time provided with High Capacity Built-In 8000mAh Rechargeable Li-Polymer Battery. - Build-In Intelligent Voltage Identification Chipset provides protection from overcharging, discharging, overloading. - Compatible with most electronic devices: iPhone, Samsung, Sony, Nokia, Tablets, Android Tablets, iPad, iPod, USB Digital Devices and most Smartphones and Mobile Cell Phones, MP3/ MP4 Player, GPS, PSP, Camera, USB Music Speaker, Bluetooth Products and other electronic portable devices. 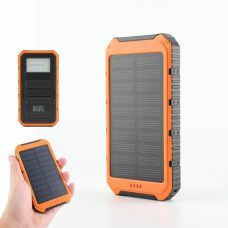 1 x Solar Bank Power.